Venkat Ram Vasantavada currently serves as the Chief Operating Officer-Asia & Africa at Advanta Limited. He earlier worked at organizations including Monsanto, DuPont Pioneer, Voltas and Real Value Appliances. 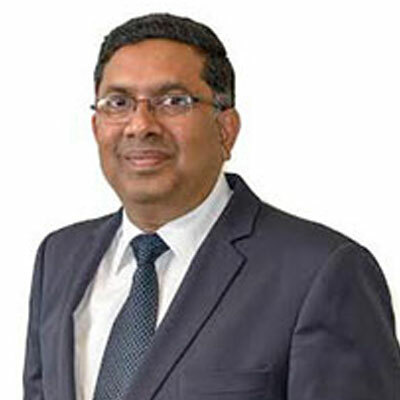 With 23 years of experience in such diverse industries as agricultural inputs, FMCG durables and telecom in areas including operations management, strategic planning and business development Mr Vasantavada is a member of the South East Asia, South Africa and Africa Chapter of the World Economic Forum / Grow Asia and Grow Africa. Mr Vasantavada is also a member of ABLE AG (an Association of Biotechnology Led Enterprises Agricultural Group). In collaboration with policy-makers, developmental agencies and other agriculture input companies, he is involved in developing models to improve farm productivity and incomes of small and marginal farmers in Asia & Africa. Mr Vasantavada is a visiting faculty at several agribusiness management institutes. A certified six sigma green belt, he holds a post graduate diploma in rural management from IRMA, Anand.